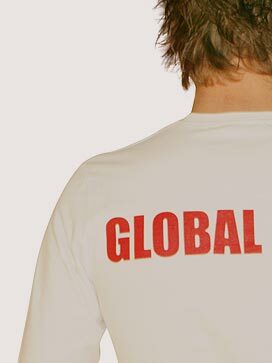 � Global Male � is a new high clothing range destined to men who like fashion but who want to distinguish themselves. These are blossomed men. They follow the former Greek philosophy: �a healthy soul in a healthy body� in profiting from it joys of modern life too (going out between friends, restaurants, movies, etc,). Being able to be dressed in �Casual� or �Nightwear� style, these trendy articles perfectly reflect the mind of its creators. Adopt the �Me-I� attitude�. Be different! Assert yourself! Here this that offers the range of products �Global Male�: the feeling to be yourself!